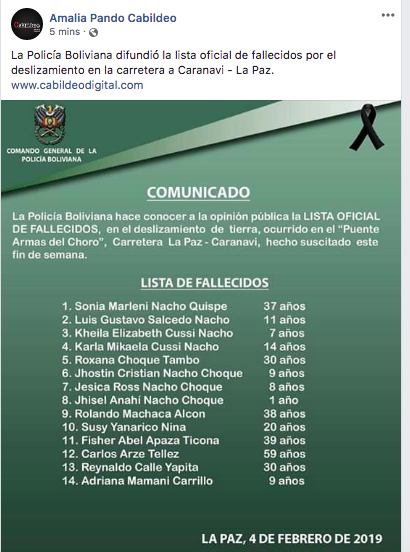 The Bolivian Road Administration (ABC) reported over the weekend that eight road stretches were closed to traffic due to landslides and floods. “The first section is Santa Barbara-Caranavi-Quiquibey, which at first has suffered several landslides at the height of what is Choro Alto, Choro Bajo and Puente Armas,” said ABC’s road maintenance specialist Saúl Sánchez, cited by ABI. 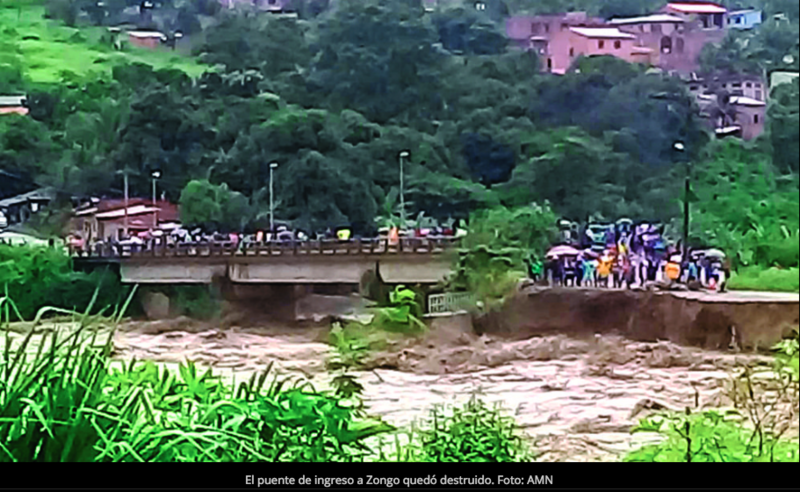 In addition, he reported that they were also closed: Caranavi-Guanay; San Borja-San Ignacio, which is flooded; Rurrenabaque-Riberalta, with two flooded platform points in the department of Beni; Unduabi-Chulumani, in La Paz, by road collapse; and in Tarija, the Entre Ríos-Palos Blancos highway, which has constant landslides. He also reported that the stretch to Tambo Quemado remains cut by landslides on the road. Regarding the Armas Choro bridge, which suffered a collapse and dragged several vehicles on the Caranavi-Yolosita section, the official explained that ABC is working with heavy machinery to speed up the work. “It is a landslide of magnitude so we are going to see the alternatives of the works that are going to be carried out, unfortunately the rains continue,” he said.